The safety enclosure is one of the most important parts for the jumpers' safety on your trampoline. 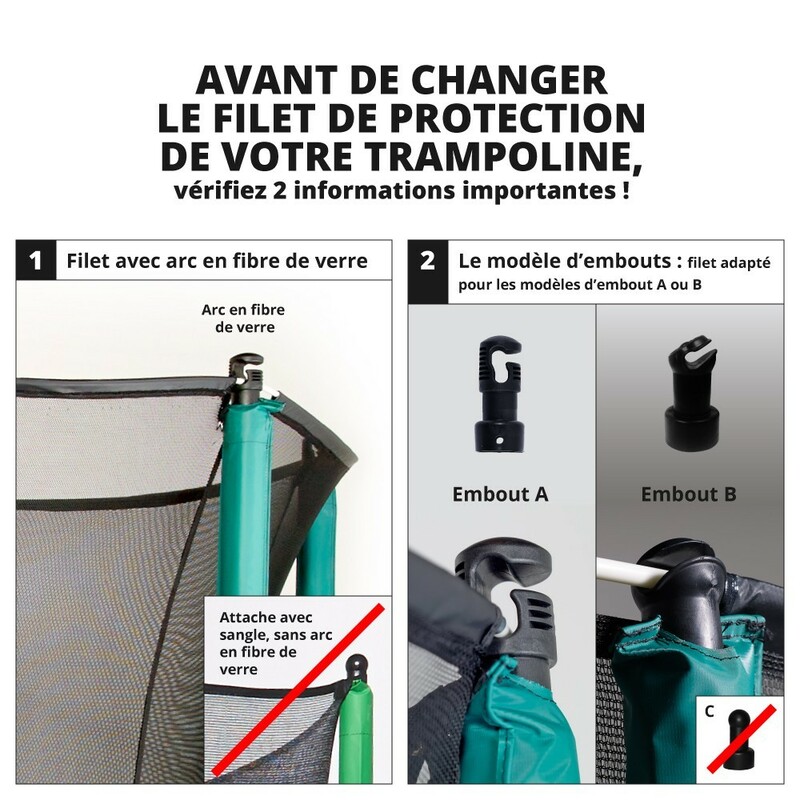 It prevents falling outside of the trampoline, and it breaks any eventual falls. Due to this reason, if your net it showing signs of wear, it will be less efficient and won't fulfil its protective function. We recommend you change it as soon as possible. This spare part allows you to replace only the damaged part of your safety enclosure. 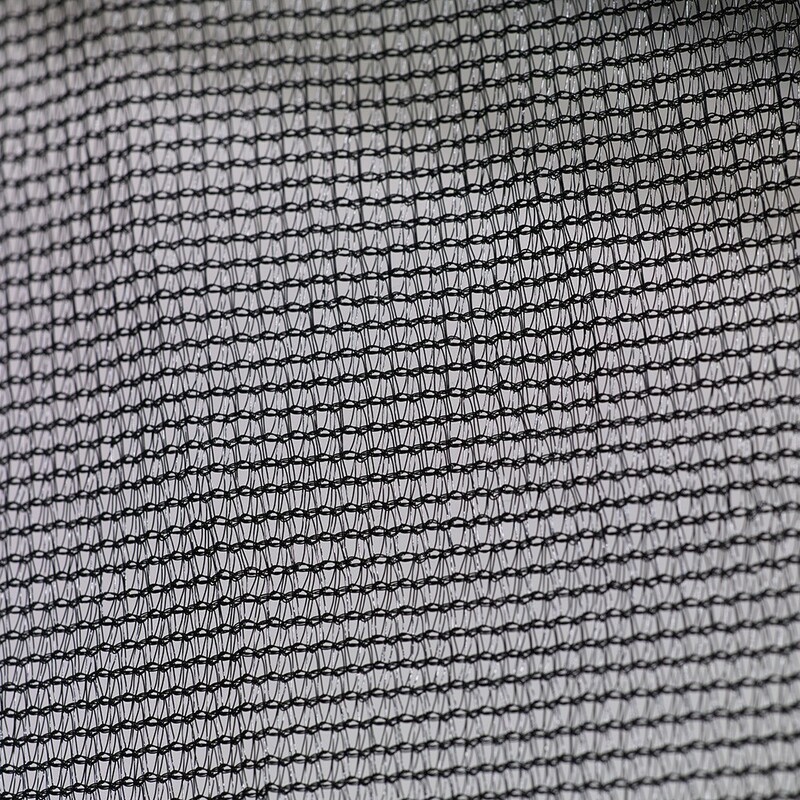 - This medium textile net is designed for 13ft. Jump'Up 390 bought after March 2016, but it is also suitable for trampolines bought elsewhere that have the same technical features. 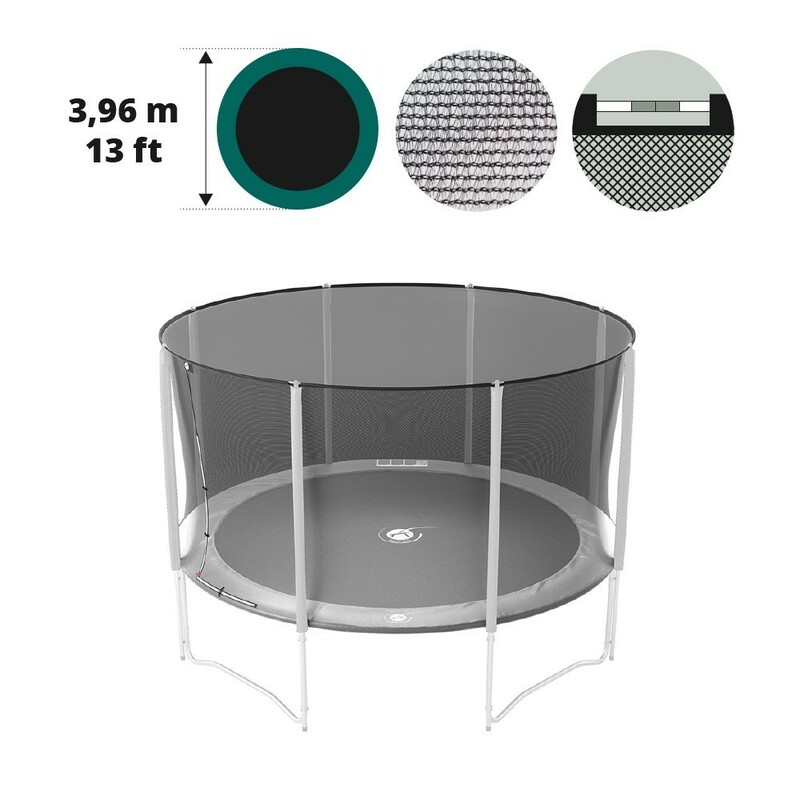 The overall diameter (exterior) of your trampoline must be 3.66m, it must have 8 net posts with caps to secure the net. - This net is very strong and soft to touch thanks to its polyester fabric. This material is renowned for its resilience and its softness. The netting is braided tightly so children won't get their fingers caught while playing on the trampoline. 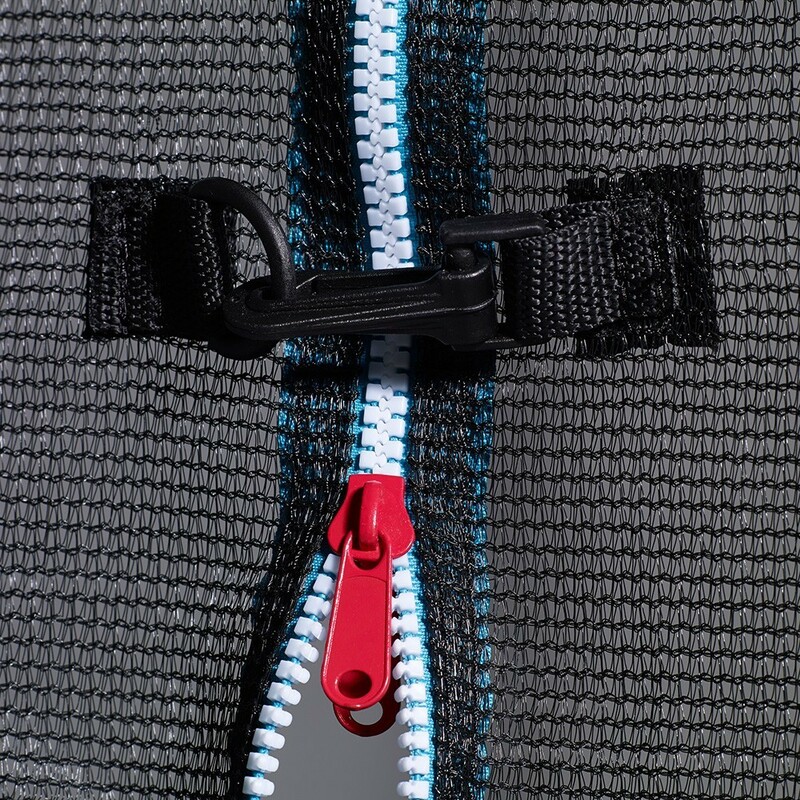 - Access to the trampoline is through a quick and easy to open zip door that is found in the net itself. 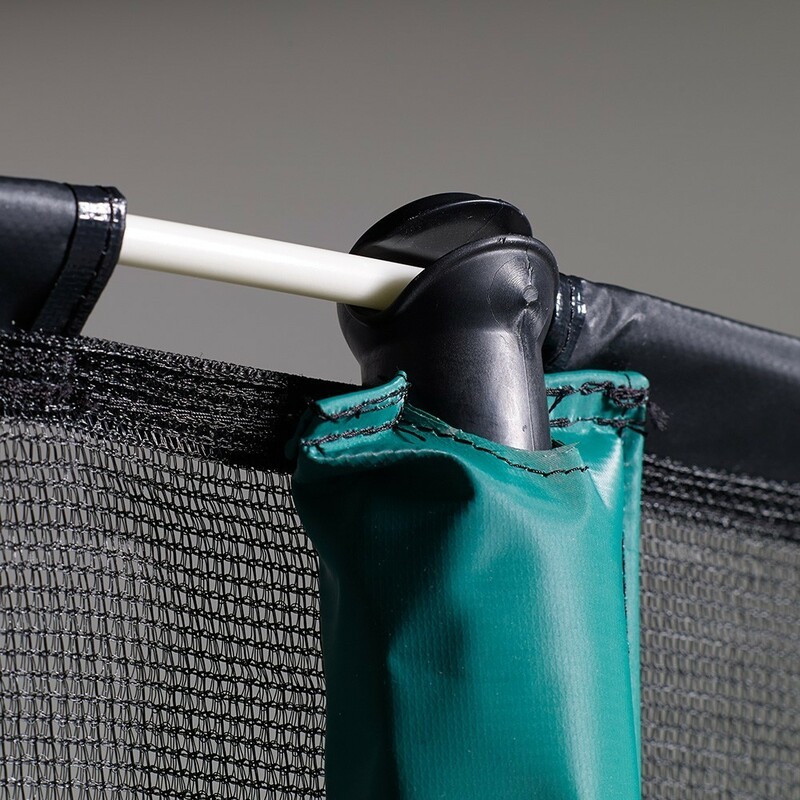 Additional security is added with the clips found on the outside to ensure that the door is securely closed while children are playing on the trampoline. - The net is secured in two areas. At the top, fiberglass rods (sold separately) slide into the sheaths at the top of the net and are held by the post caps to ensure a good tension of the net. The bottom of the net is attached under the trampoline with elastic straps and hooks that fix onto the hooks of the jumping mat.